Nothing says romance like a delicious candlelit dinner, great wine, and quiet, slow music. The only warning we would offer to the guys would be: men, whatever you do, take her to a nice restaurant where they actually have waiters/waitresses and romantic tables for two. Go on. Splurge a little. Take that special someone for a meal and a bit of romancing. 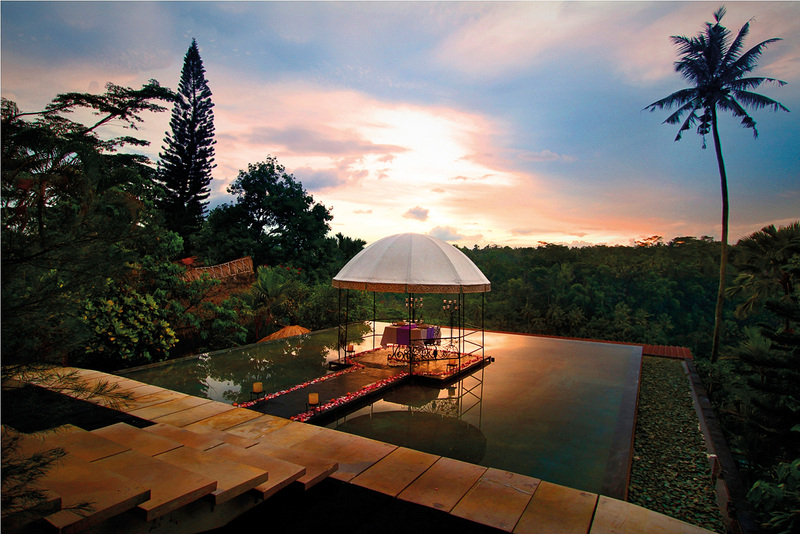 A holiday to an exotic destination is always the perfect opportunity for couples to celebrate the spirit of love. Let Alaya Ubud prepare a romantic dining experience set up in the privacy of their Bale Lounge, where couples are treated to an evening of romance to reconnect on a personal level over a delicious five-course menu and a bottle of sparkling wine, enhanced by a thousand flickering candles, tropical flowers and soft music. 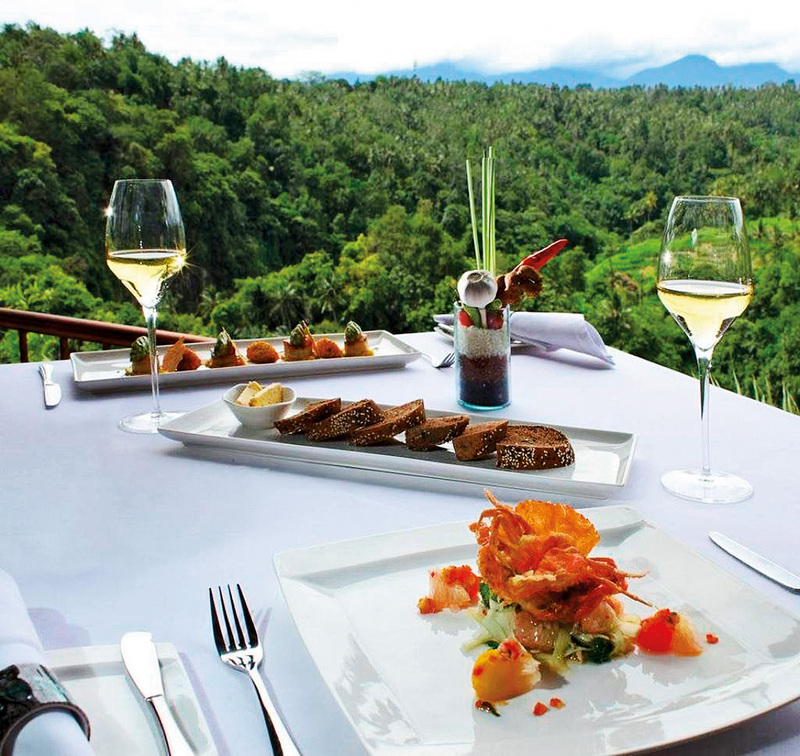 The Ayung Resort Ubud is a magically unforgettable venue for a romantic dinner. If a private dining experience is what you are yearning, then all you have to do is notify the butler and the resort will arrange a secluded dinner for you. Relax, share intimate moments, and dine under swinging palms or star filled skies. Nature, art and traditional Balinese hospitality blend into one at the Ayung Resort Ubud, found nestled down in a lush tropical valley along the banks of the Ayung River – Bali’s most sacred and important waterway. Share a romantic evening with that special someone on the Lobby Pond of Kupu Kupu Barong, a unique dining deck under the canopy of stars. Against a natural backdrop of timeless woodland greenery and the enchanting Ayung River Valley, you will be enveloped by flickering candles and scattered perfumed flower blossoms – a perfect setting to rekindle your love. 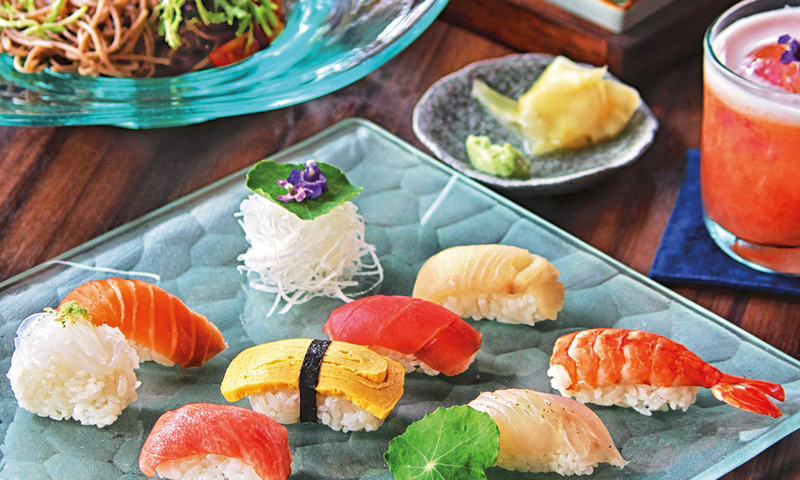 A five-course gourmet menu will be discreetly served throughout the duration of the unforgettable evening. On the southwest coast of Bali, on a long silky stretch of sand facing the Indian Ocean, Hotel Tugu Bali, standing silent against the warm glow of the setting sun, is a poet’s dreams come true. It is where the wind whispers romantic tales of ancient kingdoms and eternal love stories. A dreamlike atmosphere filled with candlelight and magical sounds. 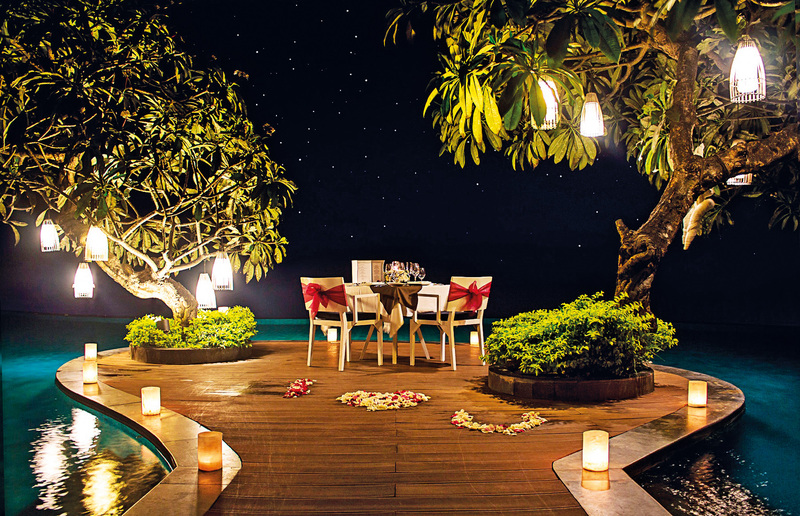 For a romantic evening with your lover, bring romance to another height – Tugu style. 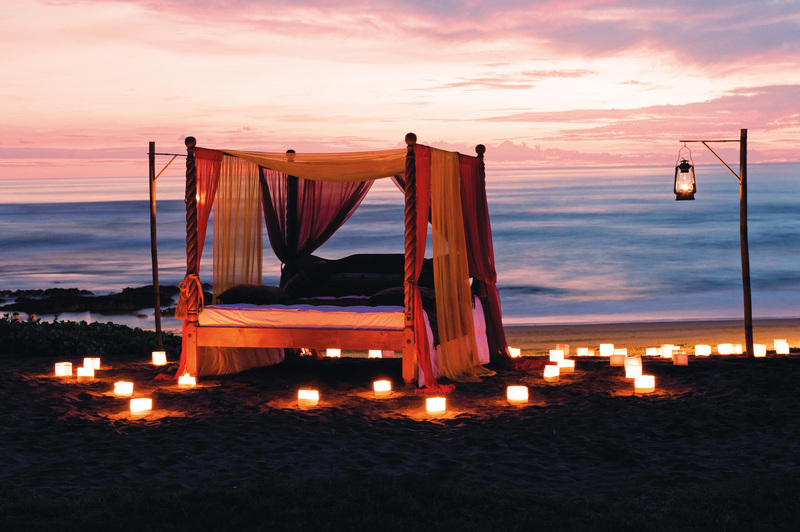 Book your 18th century antique bed, solo on a private beach, illuminated by oil lanterns and a red dusky Canggu sky, where you will be tucked in for a little private gourmet picnic under the moonlight – that ends with two blindfolds accompanying your to-die-for desserts. Set amongst reflective ponds and beautiful timber finishes, CasCades at Viceroy Bali is considered by gourmands as one of the island’s top dining spots, a venue that can be appreciated as a place of romance. For a romantic meal at the resort, you are treated to a five-course chef’s degustation menu – something that breathes excellence – while surrounded by flowers amidst a truly romantic dinner setting. Indulge in an intimate romantic dinner for two, a special moment shared with your loved one beneath Bali’s star-studded sky. 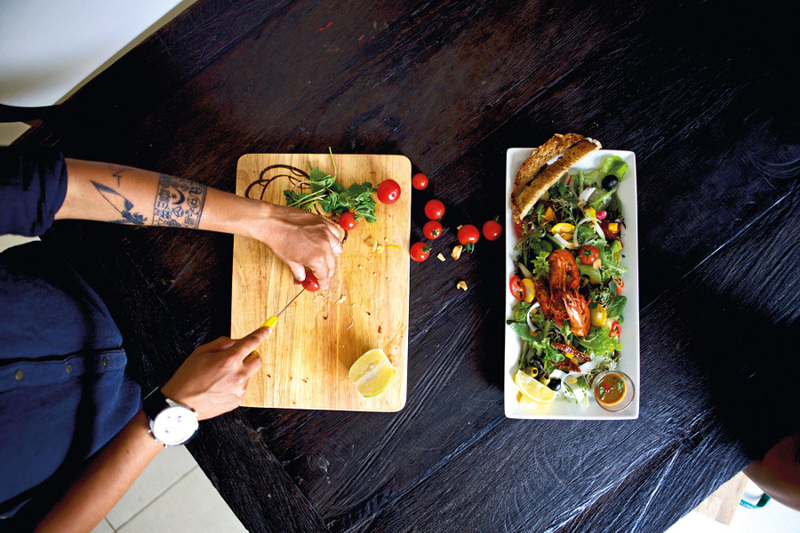 Alila Uluwatu’s chef has created a luscious menu for two, which can be enjoyed in your choice of private spots around the resort: in Cire or Warung cliff-edge Cabanas, in the resort’s Bird Cage cabana with a bird’s eye view, or perched on a hilltop with panoramic ocean views. 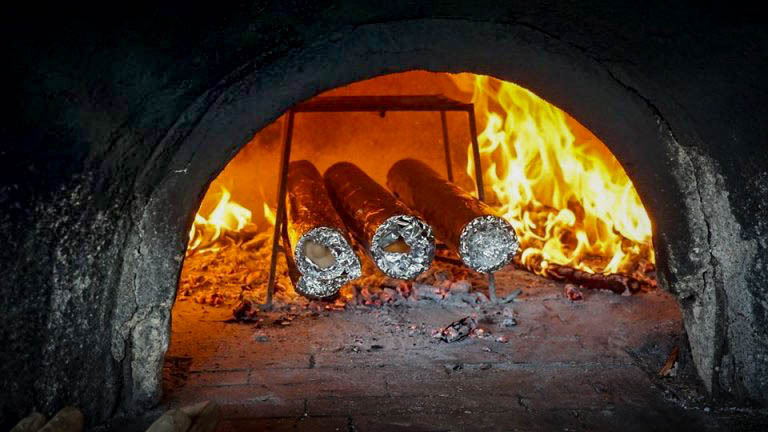 To add that extra sizzle to your romantic dinner date, you can also opt for a private Hilltop BBQ or consult with the chef to craft a unique dining experience just for you. 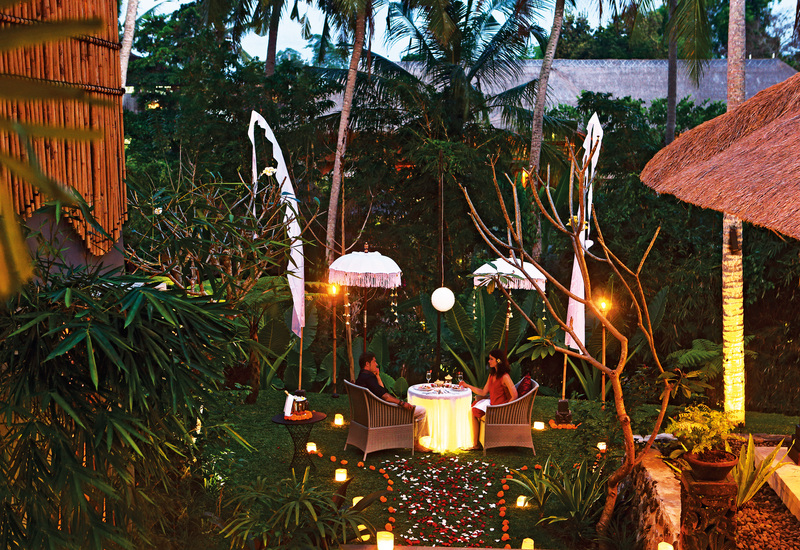 With Anantara’s special ‘Dining By Design’ program, couples can tailor their perfect romantic dining experience. You chose from 2 venues, both of which look out over the spectacular Uluwatu coastline and oceans beyond, then choose a menu of your liking. Whether proposing, or taking your spouse of 20 years out for a special meal, this will be an evening both of you will never forget.